President Donald Trump will become the first sitting president to address the March for Life in Washington. Trump will speak to the marchers during today’s noon rally via a live video link from the White House Rose Garden. The March for Life itself begins at 1:00 pm, immediately following the conclusion of the rally. 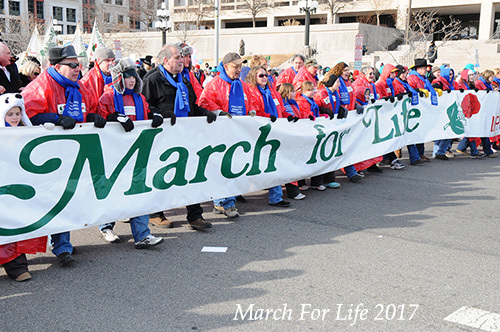 Watch the March for Life activities starting at 9:00 am EST via EWTN on their website here. UPDATE: President Donald Trump will speak to the marchers via a live video link from the White House Rose Garden at 12:15pm. You can watch the live video here. This is the first time in history a sitting president has addressed the March for Life by LIVE video. Previous Republican presidents have delivered their remarks via pre-taped video appearances or phone calls.